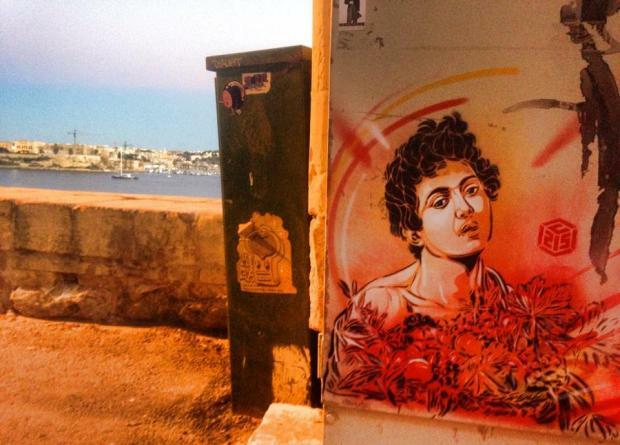 Residents of Valletta today woke up to a series of colourful pieces of street art by celebrated artist C215, touted as France’s response to Banksy. 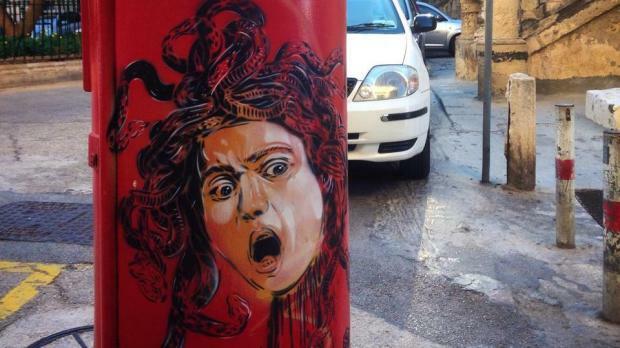 The pieces, which the artist says were inspired by “the ghost of Caravaggio”, can be admired on several post-office boxes and other street furniture strewn across the capital. C215 – born Christian Guémy – is currently in Malta holidaying with his daughter. Malta, he says, had been on his to-do list for years, even though he has no connection with the island. “I am reading for a Masters in historical architecture and I’m very interested in the topic, particularly anything related to 17th-century religious architecture. And, of course, Valletta is a phenomenal example of this sort of architecture. My daughter and I love discovering new places together and while in Malta we are basically spending our time visiting the stunning churches in your capital,” he said. The artist, who originally hails from Paris, has a particularly soft spot for Caravaggio and has followed his trail across Milan, Naples, Palermo and now Malta. Having started executing street art at 15 years of age, his pieces can now be seen across Europe, including Barcelona, Amsterdam, London and Rome. One of his pieces is part of the permanent public collection at the Paris Postal Museum and the French post-office have also released a stamp depicting one of his artworks and featuring the face of his daughter. “I practice my art with the utmost respect to the city I’m in. I do not destroy anything and I do not paint on walls without permission. The stone in Malta; it’s beautiful and I love it. There is no way I would just paint on it,” he adds. This is, of course, part of the reason why C215 chose the letterboxes as his medium in Malta. 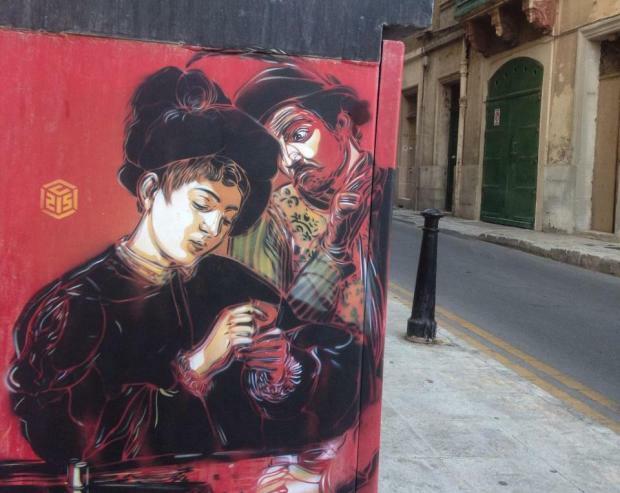 Besides Caravaggio, C215 says that he is inspired by cats, which he intends to place in a couple more street pieces that he will be executing in Valletta. He mentions the amount of cats that he has seen around the city, expressing admiration at the way that even stray ones appear well taken care of.